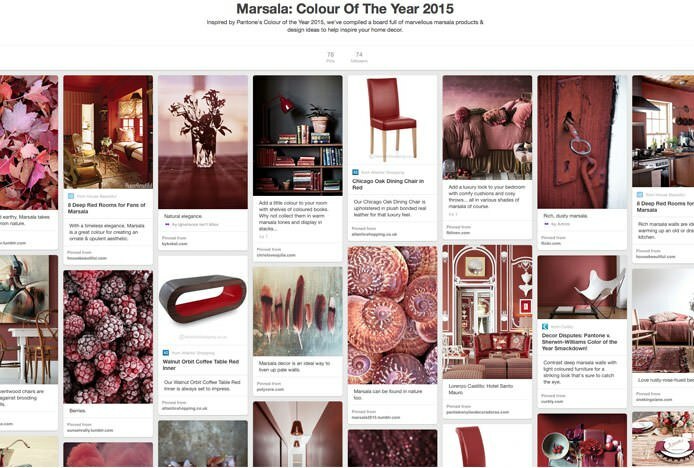 The wait is over… the colour experts at Pantone have selected Marsala as their much-anticipated ‘Colour Of The Year’ for 2015. Following the success of Radiant Orchid as the on-trend shade in 2014, this year’s colour is sure to prove just as popular. Forecasting the must-have hue for the coming seasons, it’s already influencing furniture, graphics, print and fashion alike. Based on the red wine, Marsala puts a new spin on the colour red. Moving away from bright pillar-box shades to something more regal and refined, it displays seductive burgundy undertones that lend an organic rather than playful quality. Pantone describe it as having deep red-brown roots, its versatile makeup meaning it exudes a natural earthiness at the same time as a rich sophistication. Elegant yet hearty, it’s already making a name for itself in the fashion industry. Everything from cosmetic ranges to designer shoes and clothing collections have embraced Marsala madness, the comely colour modelled by celebrities such as Taylor Swift, Beyoncé and Blake Lively to name a few. 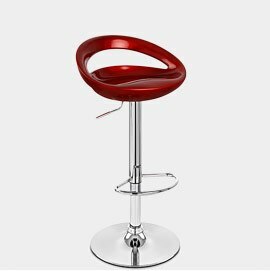 But it’s not just for use on the catwalks; its attractive allure makes it ideal for interior design too. 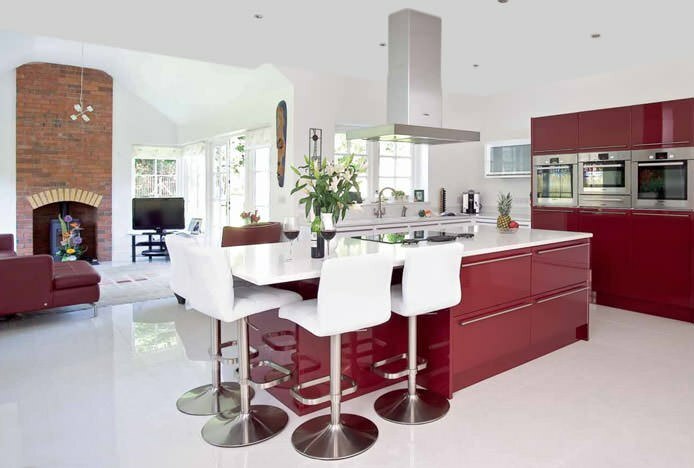 Though you may previously have been wary of using bright reds in the home, Marsala – more of a dusky maroon – is less intrusive, more luxurious, and ultimately much easier it live with. Pantone describe how its rich hue allows it to be used on its own as a grounding colour, as though it is a daring shade, its graceful complexity means it won’t overwhelm. Yet whilst it can be used confidently as a majority colour on walls, Marsala can just as easily be applied in hints and accents to enhance surrounding shades. Paired with other warm hues like gold and bronze, it will create a cosy and atmospheric ambience perfect for the bedroom or lounge. Vice versa, it can be combined with a palette of pale greys and whites for a chic modern vibe. Making for inviting accent pieces - from chairs and stools through to other homeware accessories – it can really energise a room. 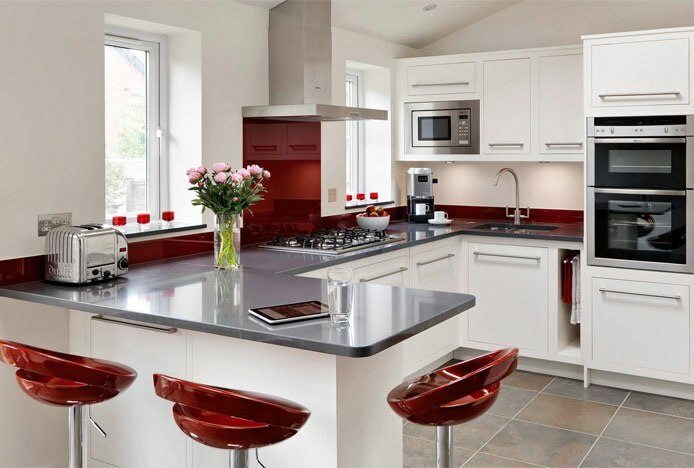 The kitchen, for example, is a room typically made of up cool, clean metallic or granite surfaces, which when used in excess can sometimes verge of clinical. But bring Marsala into the mix, and its organic warmth will really spice things up. 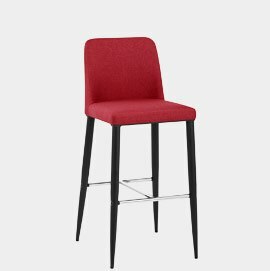 This can be seen in our Crescent Bar Stool Red, the intense shade of its high gloss ABS seat sure to liven up any breakfast bar. 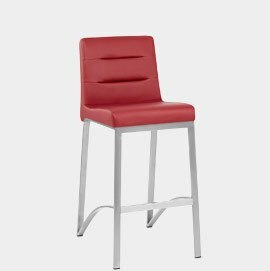 Similarly, faux leather paired with muted brushed steel, as seen on the Stella, will give a kitchen depth and character. The versatility of Marsala means it can be used throughout the home, and is not limited to any one room. 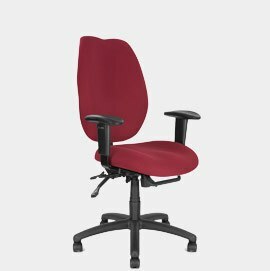 Office chairs like the Rome are ideal for home office and study spaces, its deep wine coloured upholstery creating an air of sophistication, especially when matched with a stately walnut desk or classic wooden panelling. 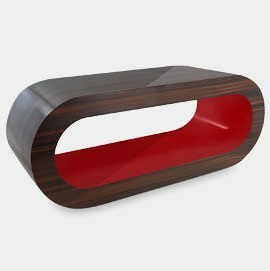 Our Walnut Orbit Coffee Table Red Inner would make the perfect addition to a modern lounge or conservatory, injecting a vibrant burst of Marsala to an otherwise neutral space. 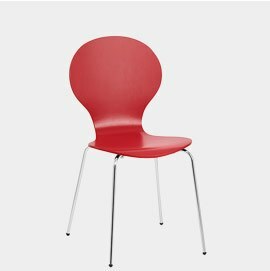 Similarly, the Candy Chair Red can be used as a colourful accent in a wide range of rooms, its compact stackable design making it a great multipurpose piece. From furniture to fashion, exotic radiant orchid is the key colour of the year..
Not sure what colours to use in the kitchen? Let the colour wheel guide your decision.. The must-have colour of the year is Greenery, a fresh and revitalising shade..
We explain how the colour temperature of light can have an impact on your colour scheme..